The national museum in liberated Syria's Palmyra has been completely plundered with some artifacts destroyed by the Daesh militants, a RIA Novosti correspondent reported Sunday. PALMYRA (Sputnik) — Earlier in the day, the Syrian Armed Forces confirmed that it had liberated the historic city of Palmyra from the Daesh terrorist group with support of national aviation and Russian Aerospace Forces. In the historic part of Palmyra, apart from the amphitheater and Roman-era columns, a monumental arch remained partly intact. 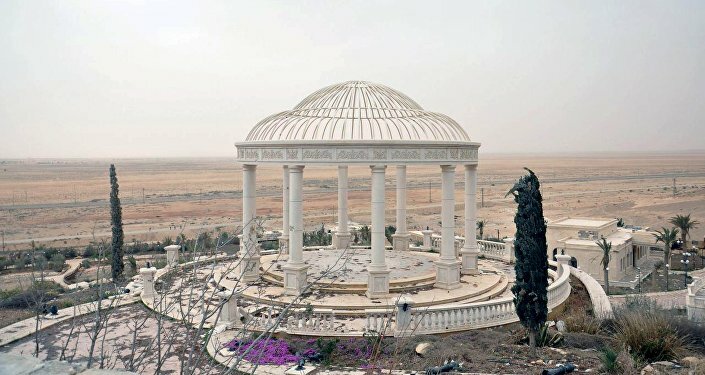 Terrorists have destroyed everything that was connected with ancient religious cults, including the Temple of Bel and the Temple of Baalshamin. Some artifacts had been removed by the Syrian army from Palmyra before the city was captured by jihadists. The city of Palmyra and its historic ruins have been under Daesh control since May 2015. The jihadist group, which is outlawed in many countries, including Russia and the United States, has since destroyed part of the ruins, which are a designated UNESCO World Heritage site.